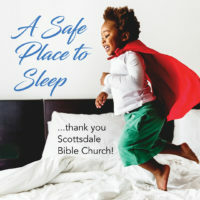 So far Az Helping Hands has created 34 blog entries. A Season That’s All About Kids! A Season That's All About the Kids December is such a joyful time of the year. A time when we focus our energy on bringing happiness to our children. 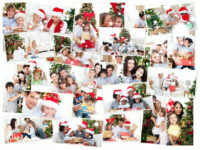 The thrill of a visit with Santa, the sparkle of lights on the Christmas tree, hot cocoa and brightly decorated houses. 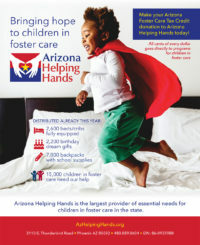 Dollar-For-Dollar Arizona Foster Care Tax Credit Is Not Impacted By Federal Tax Law Changes! 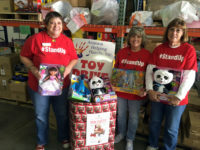 Filling Santa's Sleigh On Wednesday, December 5th, Arizona Helping Hands (AHH) held our third annual Fill Santa’s Sleigh event. 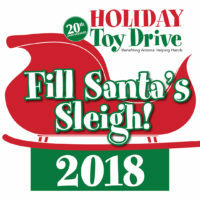 This event welcomed the community to our new facility at 3110 East Thunderbird Road, Phoenix, AZ and asked participants to bring toys in support of our 20th Annual Holiday Toy Drive. Family Toy Drive Teaches Kids Important Lessons! AZ Helping Hands On The Move! Great interview on AZTV President and CEO, Dan Shufelt, is interviewed by Pat MacMahon. Great interview on AZTV about amazing companies stepping up to make a difference for kids in foster care. Thank you REVIVE by Living Spaces and Great Clips for #Caring!